We love brands that produce products that make a house truly feel like a home. We don't just mean that when it comes to creating a home that feels cozy; we mean a home that looks and feels inviting with burst of colors, textures and designs inspired by European tradition. 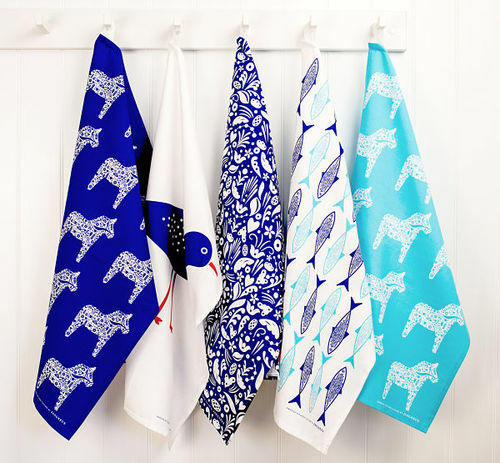 Jangneus has been the brand that brings a touch of Swedish kitchen culture into the homes of people all around the world since 2009. For our latest Brand Spotlight installment, we’re highlighting Jangneus. Read all about the brand below and get to know how it came to be. The inception of Jangneus began with Swedish born Marie’s desire to fulfill a lifelong passion for design and to partner it with the Swedish tradition of form and function. The amazing “Swedish dishcloth” wasn’t at the time widely available outside Sweden so we saw a gap in the market. The idea of crafting great design for the kitchen (sink) was born and Jangneus was launched in 2009. We launched the business working from home, in a village just outside Oxford. To start off with it was simply an on-line shop but we soon found ourselves distributing dishcloths to stores all over the world. 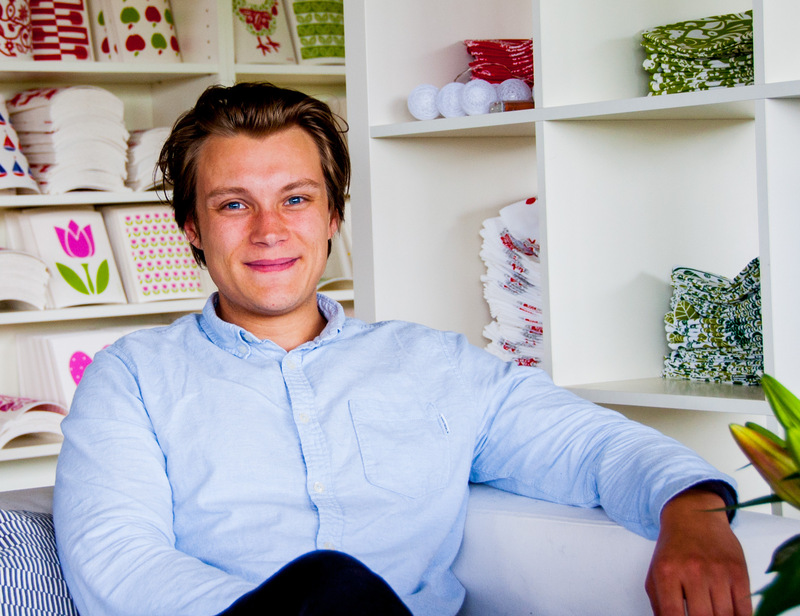 Marie’s son John who had been involved with the business part-time from the beginning became a partner a couple of years after the launch. We’ve recently moved premises for the third time and just love where we are now with lots of space with a beautiful view over fishing lakes and the Chiltern Hills. It’s a very creative space and it’s easy to pretend we are in Sweden. How would you describe your company’s design style? What are the influences and inspiration behind your designs? All of our designs are done in-house by Marie, John and Victoria. They are often collaboration between the three of us who all have a passion for print and pattern. Why do you think Scandinavian design stands out? The basic principle of Scandinavian design is form combined with function; it’s straightforward and clean. In a time when disposable things feel outdated and out of time this feels innovative. Perhaps the popularity also has something to do with Scandinavian lifestyle approach and how people live. We all want a bit more of “hygge” in our lives! What are your bestsellers and what do you think makes them so popular? Our Sheep design has been on top of the bestselling chart for years. It’s cute and playful and we’ve noticed that figurative patterns are most popular. What are the latest trends in home décor? Dark blue is the new grey and botanicals will continue for a while. 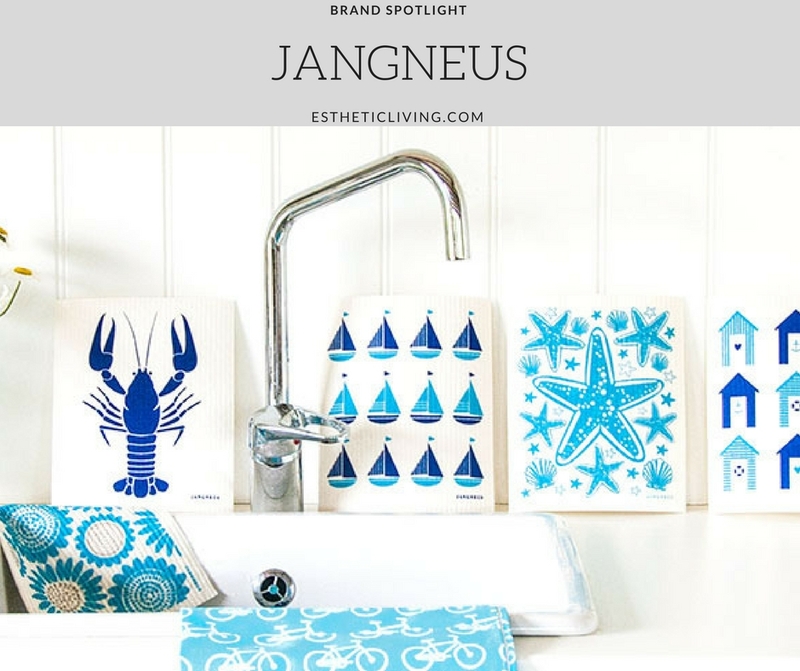 Shop Jangneus here at Esthetic Living and read more of our Brand Spotlights on the blog.